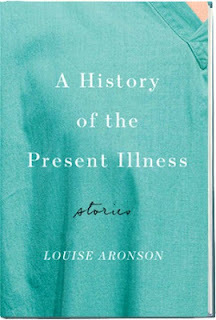 Dr. Louise Aronson, a geriatrician here in our division at UCSF, just released her book A History of thePresent Illness last week. It is a series of short stories, many connected by characters like a small gleaming thread through the text. They feature all manner of people—patients, physicians, mothers, children, writers, dog walkers—living their lives in the pocketed landscape of San Francisco. As the title might suggest, illness touches everyone, but the stories are far from uniform or predictable. And lucky us, we could absorb some of the behind the scenes magic when Dr. Aronson read this week from her work at a small event we held in her honor. Now that it’s in our hands, the pre-release buzz in the air has turned into effusiveness about the communal verdict: it’s stunning. It’s what you hope a book will be: engaging in a can’t-put-it-down way, an effortless read with natural breaks (hey, we’re busy doctors), deeply affecting, and thought-provoking with no easy answers. It draws you in at the first line, which was much commented on at the reading : “She lies in bed the way a letter lies in an envelope”, depicting an older woman in the end stages of dementia. For me, there were some joys which may not be universal-- the small thrill of recognizing hospitals, clinics, and parks as these characters lives their lives in my current city; the over-identification with a woman going through medical school training, another through residency (I’m only 2 years into fellowship). But as specific as some of these scenes—to doctors or doctors-in-training, to San Franciscans—I can’t overstate that A History of the Present Illness is also remarkably universal. These stories, all fiction, go deep into the most personal experiences and stories of these lives, and doctors are not the majority. By doing so, they become the most universal of tales about how illness can be complex for everyone involved. Many people asked Dr. Aronson about how she was able to write such raw and intricate characters, often in dark circumstances: a doctor in jail accused of killing a patient, a young girl from an immigrant family navigating a bed-wetting problem on her own, a woman who left medicine years before having to respond to a fatally injured boy in the street. These stories become general because the depiction is honest and the emotions and reactions believable. After reading them you understand what she means when she describes her stories as “fiction, but true”. A History of the Present Illness is a wonderful collection of stories that makes the medical world accessible and its heartbreaks deeply felt. It rewards you now with the joy of reading good stories and for the longer term with vivid images and vexing questions that will stay with you. To steal from Aristotle: if poetry is the skillful telling of lies, then fiction is the telling of truth framed as lies and this book has much truth in it. While not an easy read, Louise's voice evokes a depth and complex authenticity that reaches all of us whether clinicians, patients, or both. And for those of us who trained in San Francisco, we will find much that resonates, is heartbreaking, and ultimately TRUE.